Wondering what to do with leftover rice? 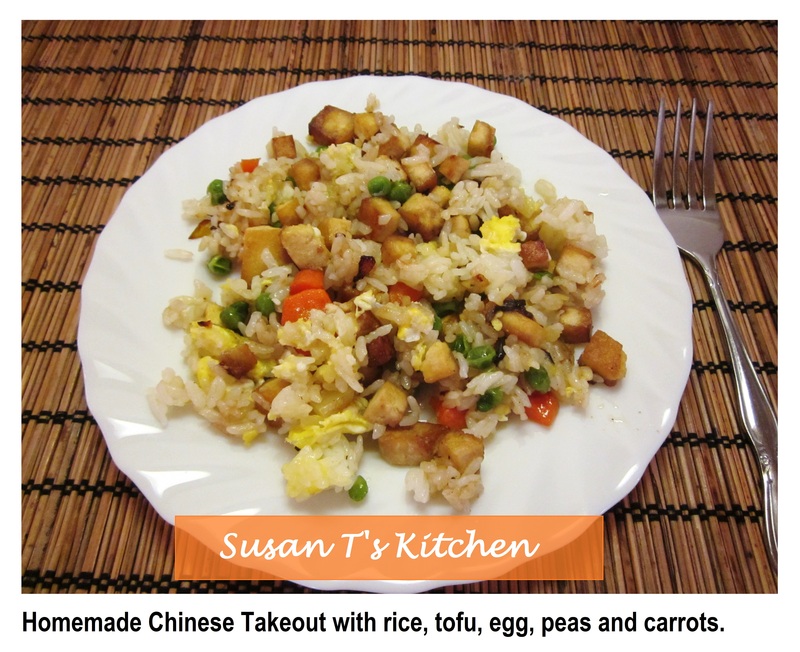 Make your own Chinese take out! Garlic Fried Rice with peas, carrots, tofu and egg! Omit the egg if you are vegan. Saute the cubed tofu until slightly brown add more oil if needed. add the garlic and chopped carrots and sauté with the tofu. Add the rice, and mix to distribute ingredients. Stir the rice and veggies to mix well for 2-3 minutes. I love a bowl of hot broth while curled up on the couch watching a movie on a cold winter night! 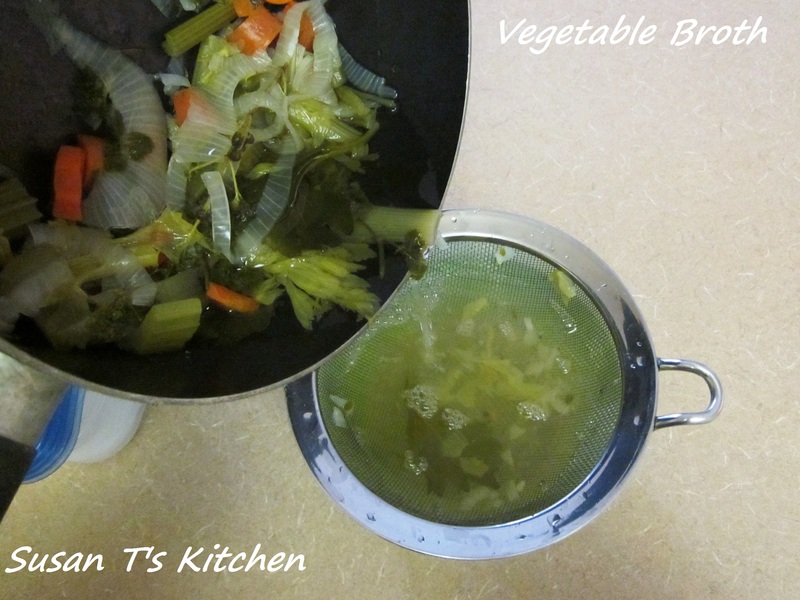 You can make your own vegetable broth in these simple and easy steps to enjoy now or freeze the broth in containers for later use. 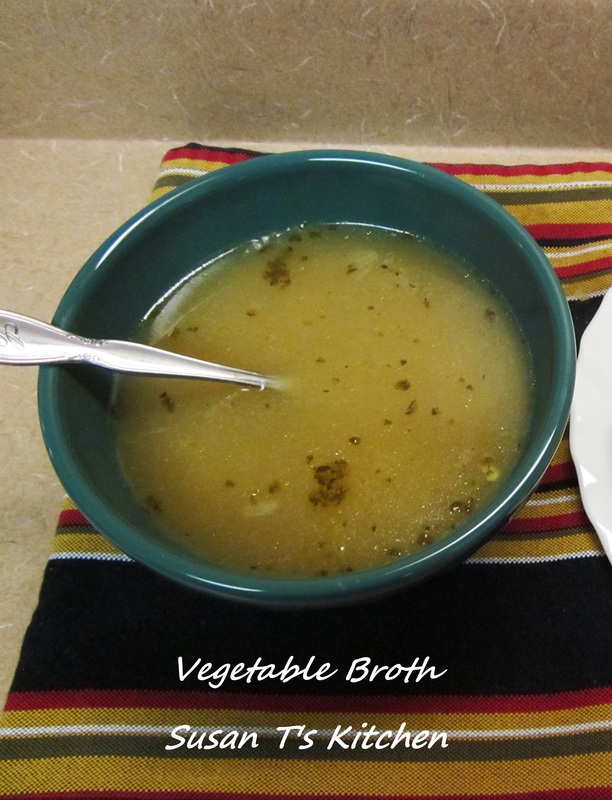 This vegetable broth is delicious and is ideal for making soups, just add your favorite ingredients such as noodles, pasta, beans, potatoes, or tofu to name a few. Remove from heat and strain the broth through a mesh strainer into quart size containers. Freeze up to 6 months. 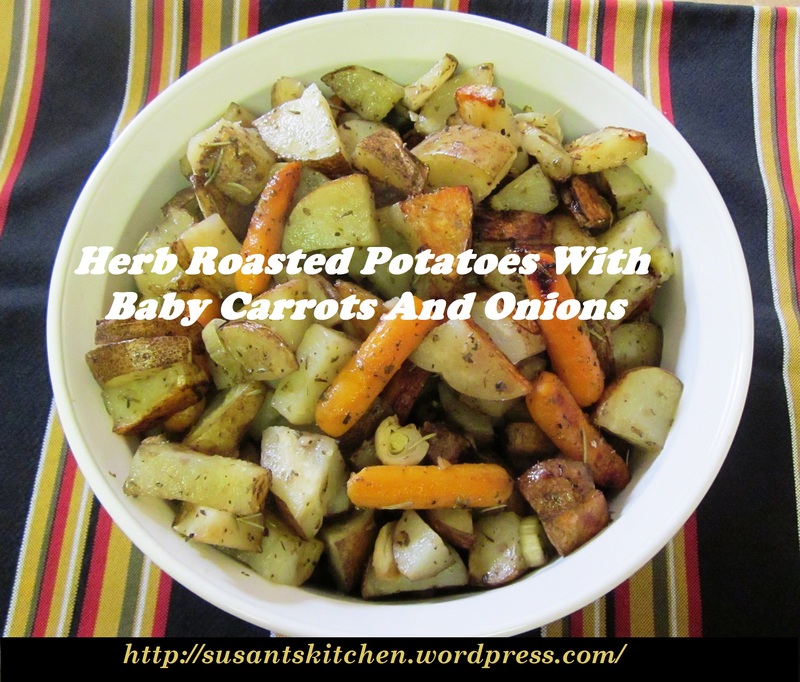 You can’t go wrong with Herb Roasted Potatoes because they are so easy to make and taste so good. 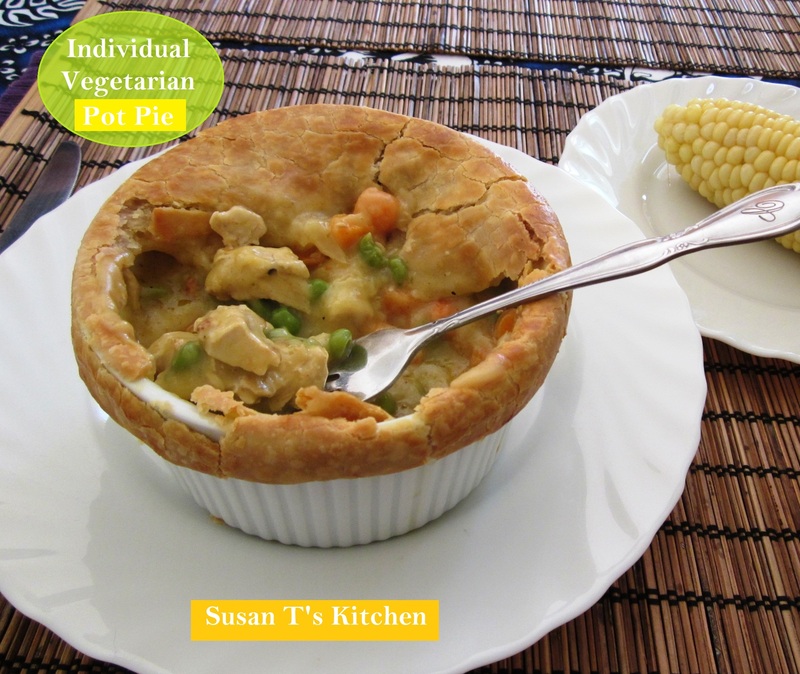 Make some on a cold day to warm up the house when the temperature drops! Make a double batch so you have leftovers for lunch during the week! You can add other veggies if you don’t have carrots. *Cut the potatoes into even chunks and place in a bowl with the olive oil, salt, pepper, and garlic. *Toss until the potatoes are well coated. Transfer the potatoes to a baking pan and spread out. *Put the carrots and onions into the same bowl, toss and coat with more oil if needed and set aside. *Roast in the oven for 45 minutes or until slightly browned. *Flip the potatoes once or twice with a spatula during cooking, for even browning. *For the last 15 to 20 Minutes add the baby carrots and onions, bake until tender. a drizzle of olive oil along with the herbs. **Can be refrigerated for a couple of days or frozen. Ever wonder how baby carrots are made? 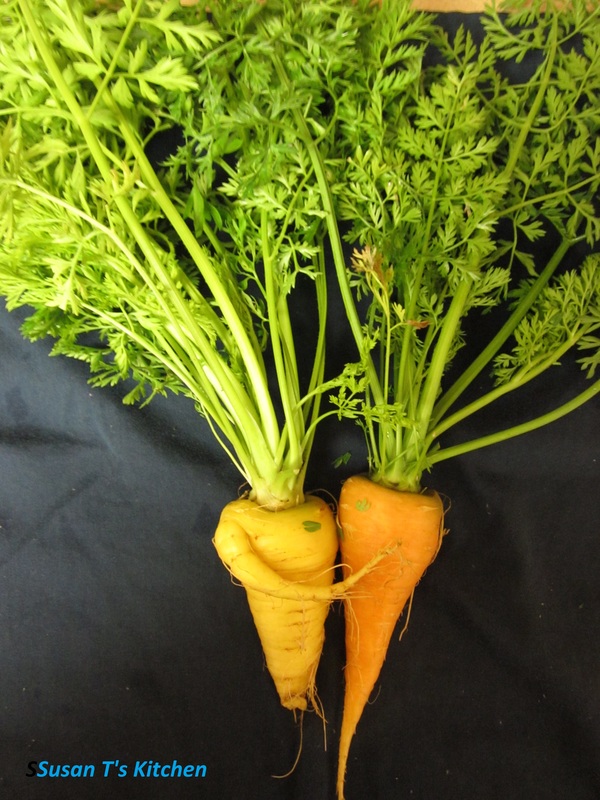 I bet you always wondered how those cute little carrots were made, didn’t you? I found this cute couple in my garden not too long ago, aren’t they cute! Well, now you know how baby carrots are made! Here is my version for Vegetarian Stroganoff that I came up with after seeing a picture of Beef Stroganoff in a magazine. I replaced the beef with Seitan because it has a meaty texture that can mimick beef and I added broccoli and carrots to make it more healthy. 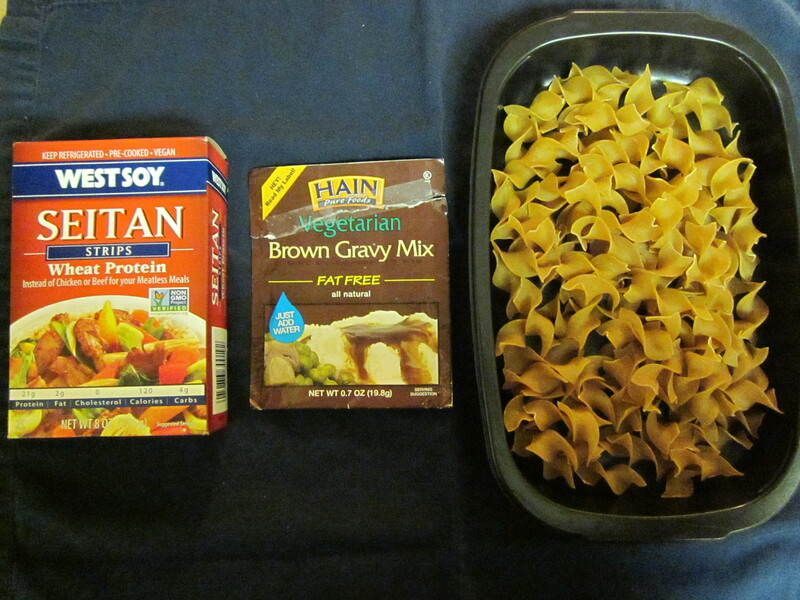 You can find Seitan and the Vegetarian Gravy at Whole Food’s Market and most Food Stores. 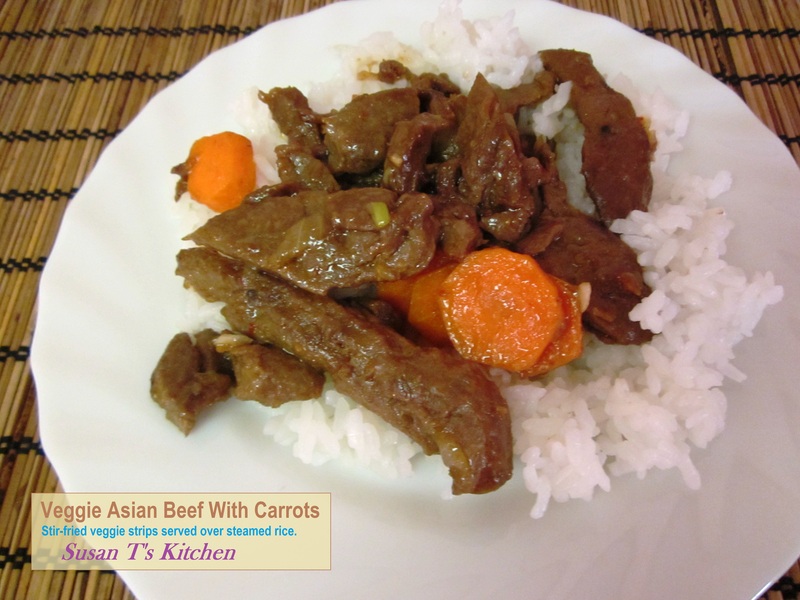 Trader Joe’s sells Beefless Strips which can also be used in this dish. You can also find Vegetarian Gravy at your local supermarket, look for mushroom gravy in a can, read the ingredients to make sure no animal products are used. If you can’t find the gravy you can always make your own. I will post a recipe real soon. 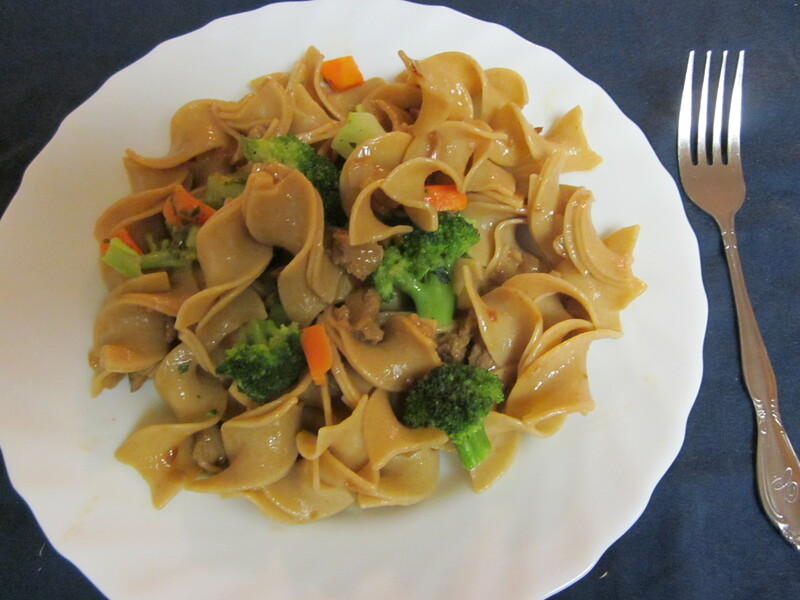 Add noodles to Seitan Mixture and mix.